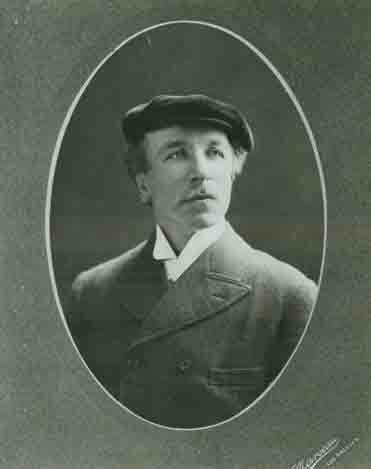 1905 Paul DeLongpre was one of Hollywood's most prominant citizens. 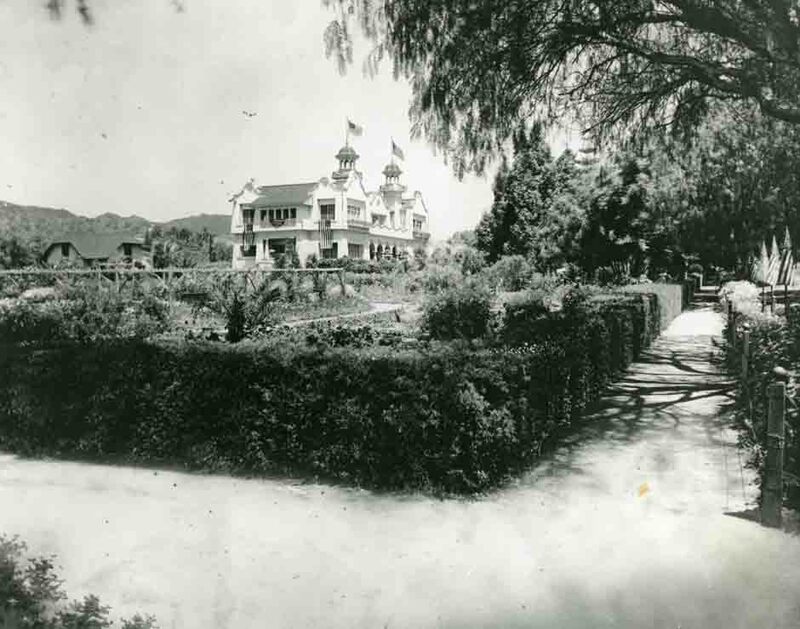 He built this fine home on the northwest corner of Prospect Ave. & Cahuenga Ave.
1906: The Paul DeLongpre residence was Hollywood's forst tourist attraction. Visitors would travel to his home on the streetcar and tour his gallery. 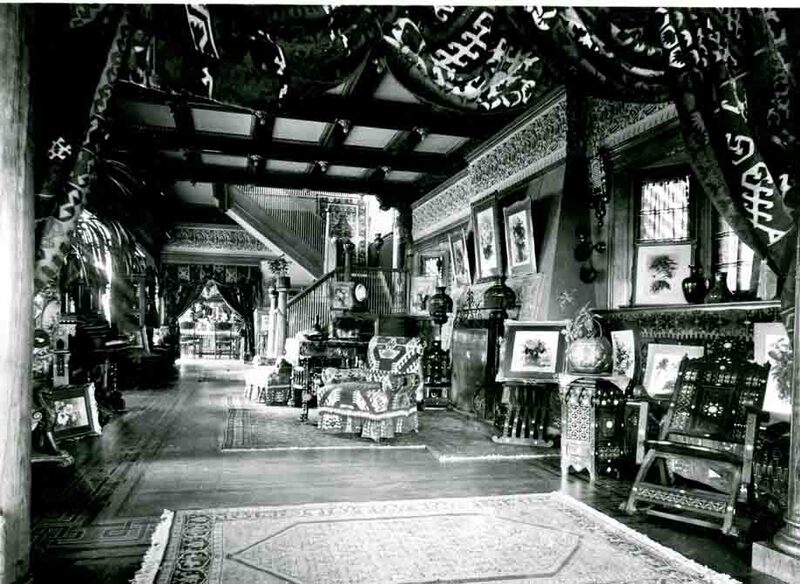 1907: Paul DeLongpre's residence was filled with many of his paintings. Visitors were allowed to brouse through the house to view his art.. 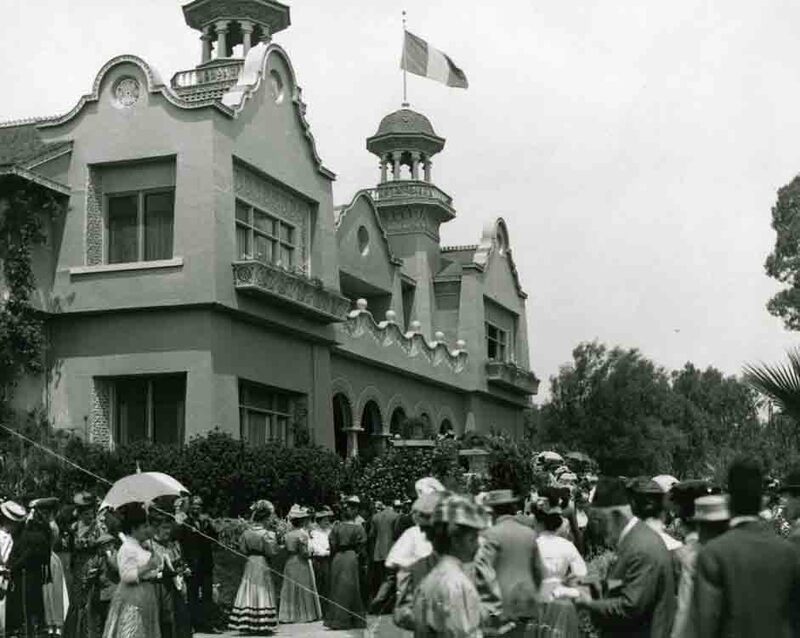 The largest collection of vintage photos of Paul DeLongpre and his residence is in the hollywoodphotographs.com website. All of the photographs are available for purchase. One of Hollywood's most famous residents was Paul Delongpre. Born in France in 1885, DeLongpre started painting flowers when he was 12. A bank failure in Paris brought him to New York in 1886, where he began again with an exhibition of floral paintings. Flowers were expensive and there were not a great variety in New York. 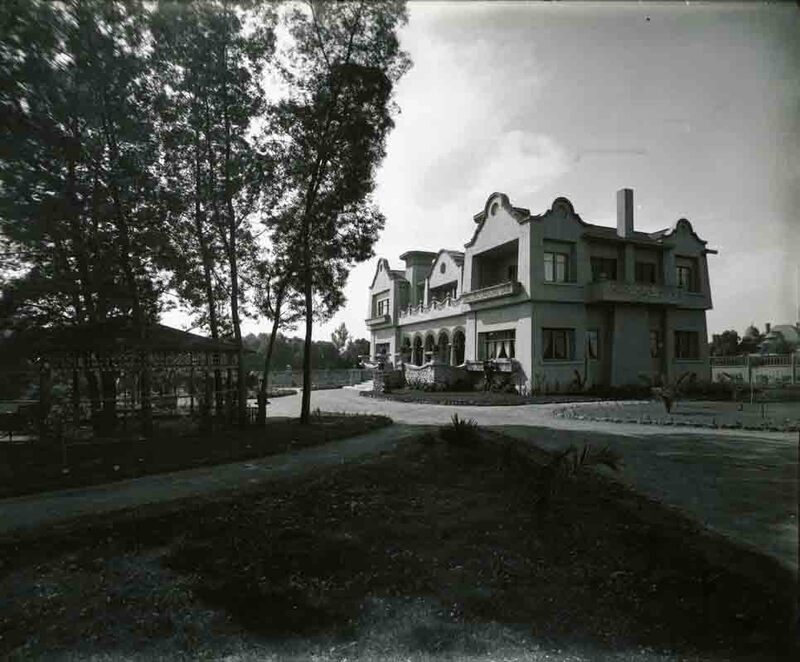 In 1889, DeLongpre moved to Los Angeles with his wife and three children.